You must make reservations at least 5 minutes in advance of the time at La Chaumiere. Street parking or public lot. For dinner, for $14.00, 2 hours of validated parking at Four Seasons Hotel. 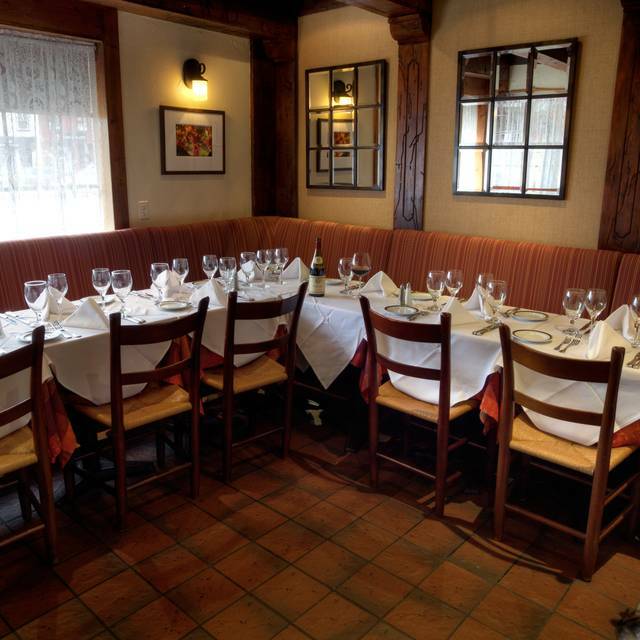 Two private rooms: Terrace/front room seats up to 15 guests, and upstairs/2nd floor seats up to 40 guests. Customized menus available upon request. 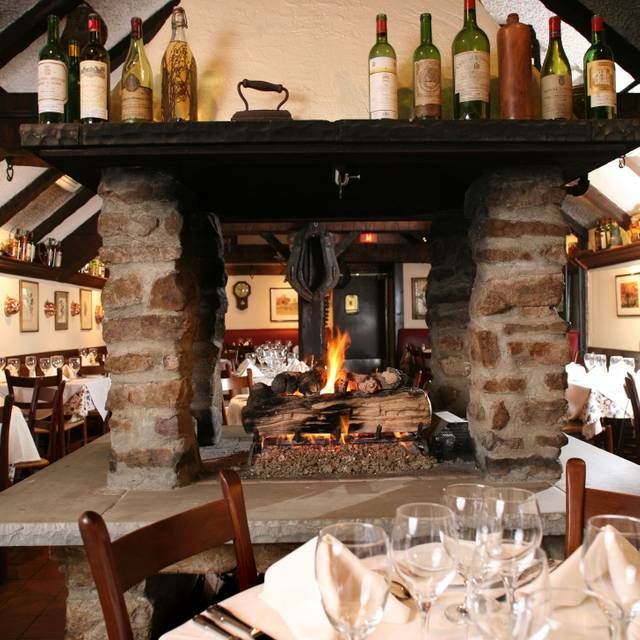 La Chaumiere is as close as it gets to dining in a French country inn. 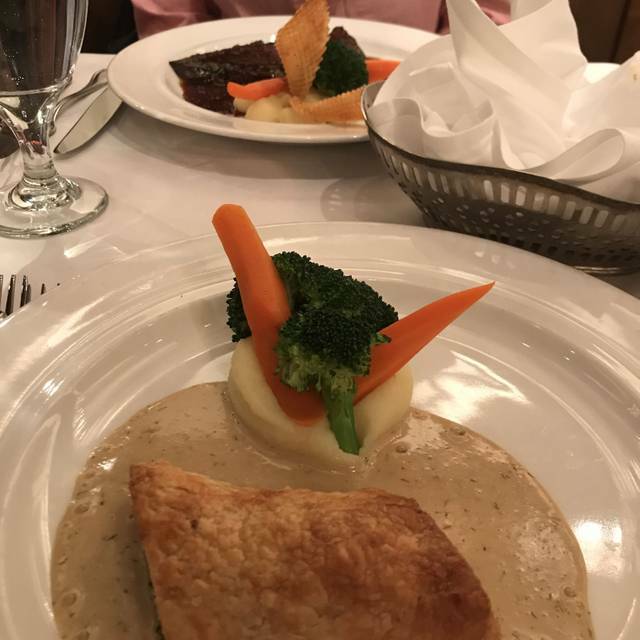 Celebrating 42 years, La Chaumiere features traditional dishes like escargots en coquille, boudin blanc, quenelles of pike, cassoulet and Grand Marnier souffle. Chef Patrick's specials reflect a modern approach to seasonal produce, seafood and game with favorites like baked oysters, Dover sole and rabbit. La Chaumiere has won the "100 Best Restaurants" award 29 times since 1978! Always wonderful food in a cozy French atmosphere....been coming here for many years and never disappointed. We brought relatives from out of town to experience a Washington stalwart. But it is not the restaurant I remember. The atmosphere is still lovely. Our service was exceptionally slow and it took 20 minutes before our drink order was taken. It got worse. Management was apologetic and blamed a slow kitchen but - really? This is their business. The food was okay but in the future I’ll opt for Chez Billy Sud or another French kitchen that takes more care. Great selections of food you don't see often presented well, such as tripe, sweetbreads, liver, etc. Wonderful wine selection, terrific Grand Marnier soufflé. Only drawback: You're confined as a couple to two-tops which are crammed against each other. It's a potentially romantic place but it's too packed to fulfill that potential. Simply the best for decades! The ambiance is mesmerizing as it is an extremely small and cute restaurant. The duck served with a currant sauce was delicious and I know my family enjoyed their dishes as well. The only real issue with this restaurant, however, is the overwhelming sense of pretentiousness and elitism. Being Michelin rated is not a small achievement, but unfortunately, it was overshadowed by a self-perpetuated pompous attitude that can be observed throughout all facets of the restaurant. The Fois Gras was one of the best we've had. The filet was cooked perfectly. Only thing not great was the tables were very close to each other. I could hear the conversations on both sides of us. Have been a regular at La Chaumiere since 1975. What more can I say? Food was fantastic, service was ok. I will be back! My girlfriend and I came here for our 1 year anniversary - food was absolutely amazing and thought the service was excellent! Would definitely reccommend! Our waiter was very helpful and friendly. The service was excellent, and the food was delicious. Great ambience for a romantic dinner. We were treated warmly and like family! The BEST soft shells ever ! La Chaumiere is classic and reliably excellent. 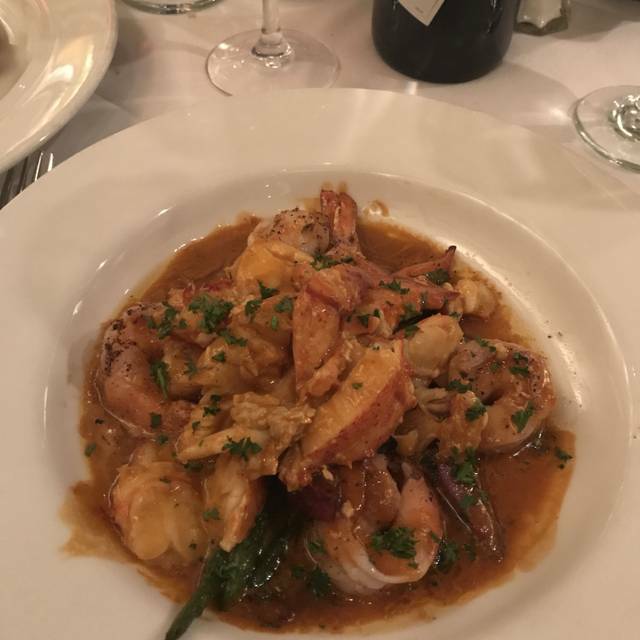 There are a number of very nice French restaurants nearby, but to me La Chaumiere is set apart by the attentive and knowledgeable service that is neither overly familiar nor overly stuffy. Birthday dinner. No special recognition but fit the bill really well. Good food, good service, lovely restaurant. Given the cold, rainy night, I’d have preferred a table near the fire, but that’s being picky. I not only recommended it, I tool them there! 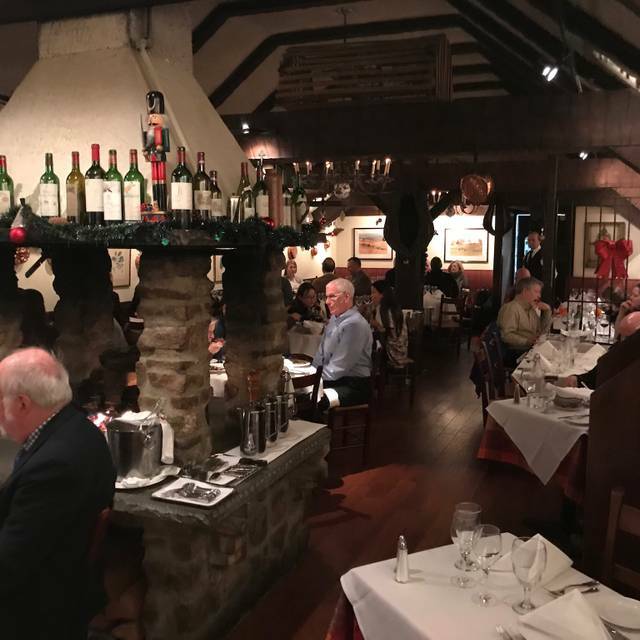 We meet annually in the Georgetown area for the Capital Print Fair, and this year I was able to introduce them to this wonderful restaurant! The food was magnificent. The sever was good. The ambiance was nice...seating was crowded. Our meat was done perfectly, the soufflé was perfect. It is hard to find classic French these days. This restaurant fit that bill. This was our second visit to La Chaumiere. We were a little early for our 6 PM reservation but were seated immediately. 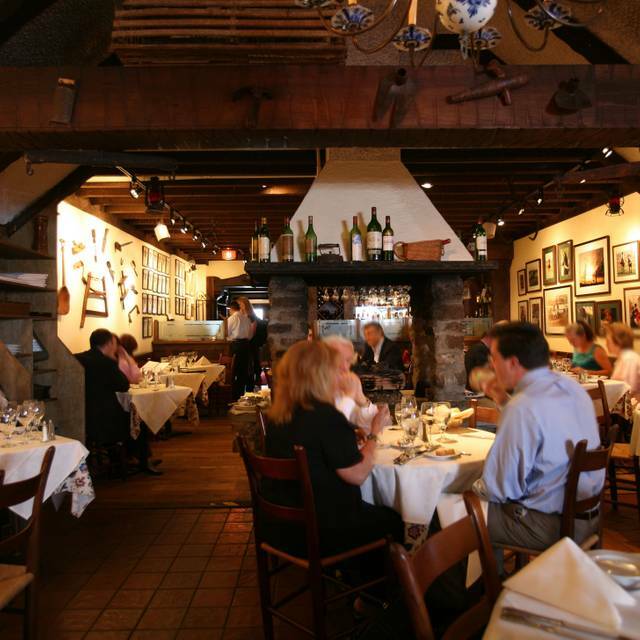 The restaurant décor is a rustic French, clean, and well lit, but not overpowering. Our server greeted us immediately and explained the day's specials. The restaurant does offer an extensive wine menu. We both ordered salads to start. My wife ordered the house salad and I ordered the Caesar. Both were plentiful and very good. My wife ordered the duck breast and a pinot noir and I ordered the veal chop in a marsala sauce and a pinot noir as well. My wife raved about the duck breast and said it one of the best she's had. 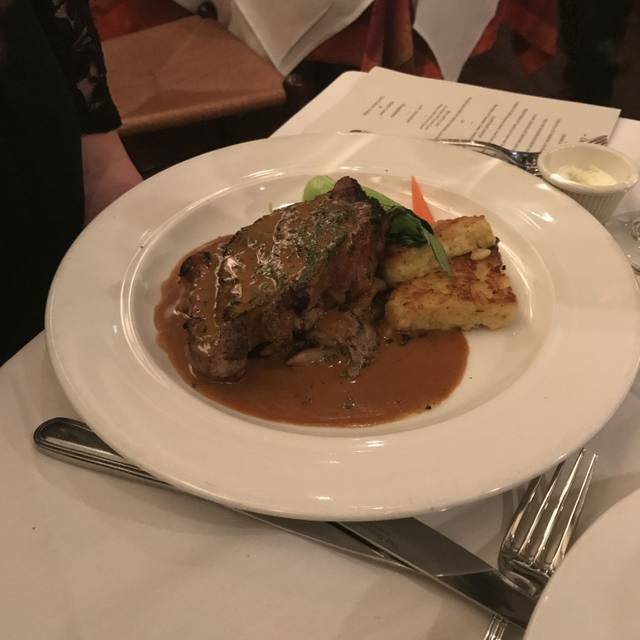 My veal chop was served medium as I requested and well seared. However it could've used more seasoning. We shared a desert and my wife ordered a decaf coffee and I had a double espresso. Unfortunately the cream which was delivered to the table was curdled and we had to send the decaf back for a fresh cup. The service is very good here and with exception of a lack of seasoning on the chop and the curdled cream we still enjoyed our dinner. A not so hidden gem in Georgetown. It’s right on M Street, and we’ve passed it many times, but finally realized it’s a top rated French restaurant in DC filled with lively locals. Delightful rustic vibe. We had the escargots and their house specialty - quenelle de brochet - to start. The shrimp and scallop special with creamy polenta and the venison meatballs with mashed sweet potato as mains, with a lovely bottle of Bordeaux. Fantastic service! And while the overall price tag was high, it was a great experience. Highly recommend! Amazing classic French food. Great service and reasonable for the quality of food and drink. This great restaurant goes from strength to strength. We must cherish it! Haven't been to La Chaumiere in several years. It is every bit as good now as it was in the past. The food is very special, the service outstanding and the room is so delightful. We will be back. Excellent experience from all perspectives. Our server provided great advice on both food and wine. The main dishes were outstanding. Presentation was very nice and the mix of textures and flavors were very interesting. We stuck to traditional desserts which were paired with a nice cordial. It was a perfect evening. We look forward to our next trip to d.c. in September and a return to La Chaumiere! Exceptional food and service. It felt like we were in Paris! A wonderful surprise which exceeded our expectations. A true French menu, food and ambience. Great Restaurant. Old school French atmosphere. Relatively crowded space. This was one of the most delightful dining experiences that I've had ever, and I've had a lot. Everything was impeccable, and I'd be a regular if I lived in the DC area. As it is, the trip from San Fran to DC was worth it, thanks to this lovely restaurant. Go! Enjoy! As always, stellar, personalized service and a warm welcome. We both had the first soft shell crab of the season, imported from Georgia, which was served with a tomato-caper beurre Blanc. 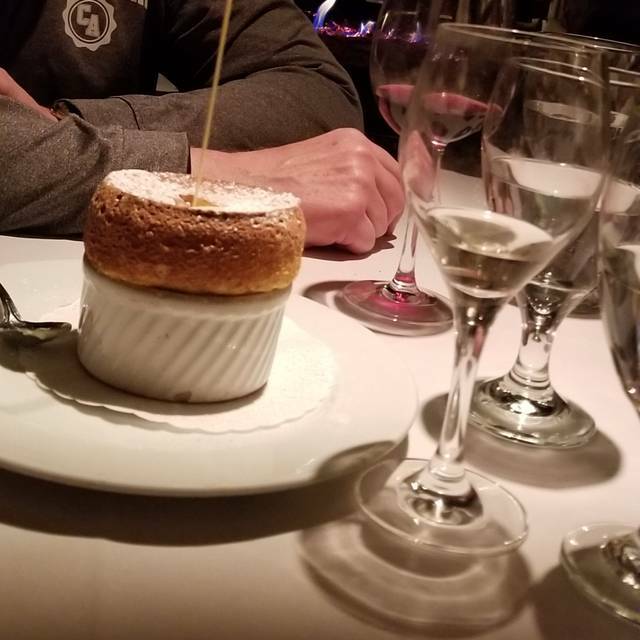 And for dessert, a Grand Marnier soufflé. La Chaumiere continues to be one of the best restaurants in Washington. 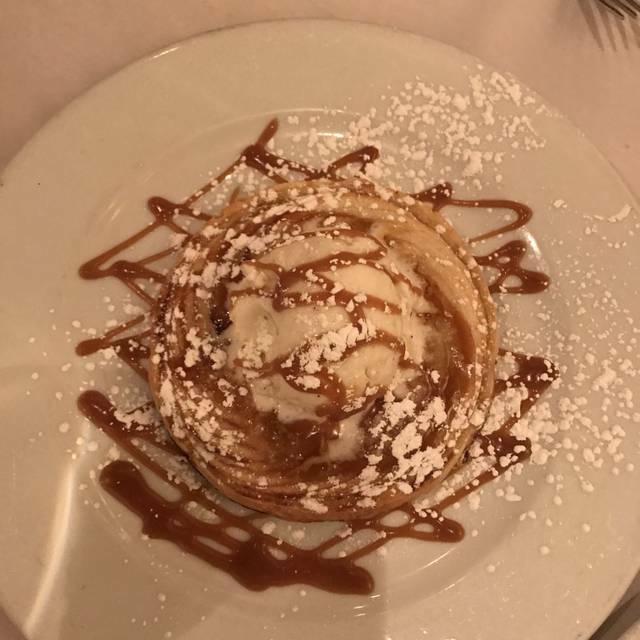 Excellent restaurant...Cozy cottage atmosphère...Absolutely delicious, fresh truly French cuisine....Just reading the menu makes your mouth water....Waiters are friendly, but professional and anticipate their clients’ needs....Strongly suggest making reservations. Loved our food, loved the decor and loved our server!